#BrumHour was invited to see Peter Pan by Birmingham Hippodrome. 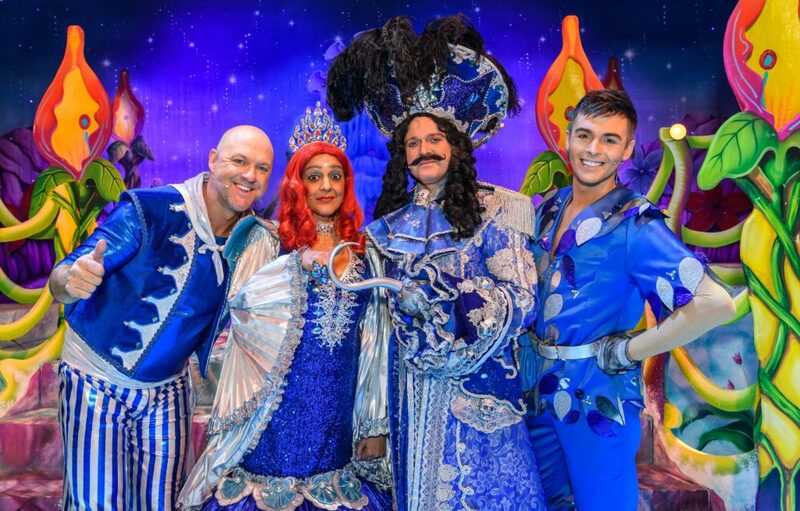 Peter Pan, the high flying pantomime adventure, is at Birmingham Hippodrome until 27th January and now stars Darren Day replacing the lovely Jimmy Osmond as Hook along with Meera Syal, Matt Slack and Jaymi Hensley. Respectfully, there is a Jimmy shaped hole in the performance, but this is still one of the biggest, most energetic, fun, spectacles of a show. The show must go on.. When Jimmy Osmond had to pull out of playing Hook after a week of performances due to ill health. 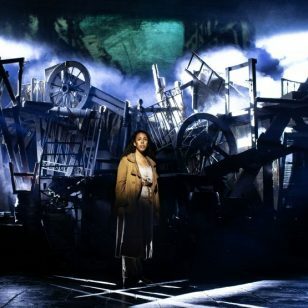 Producers Qdos and Birmingham Hippodrome had to find a knight in shining armour to replace Jimmy for four weeks worth of shows. 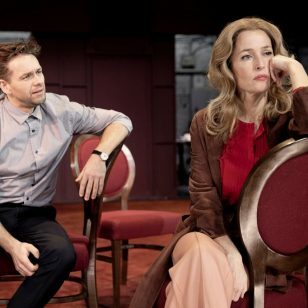 Luke Redford (Jimmy’s understudy) covered until a replacement was found. Luckily for the Brum Panto, Darren Day had been playing Hook in Northampton in December. Peter Pan isn’t the most traditional of pantos as stories go. No dames, no Kings or Queens, Princes or Princesses, no wedding, no villagers. Instead we have pirates, wild kids, and huge crocodiles. Wendy Darling (Cassie Compton) and her two brothers Michael and John, live in a part of Birmingham with huge rooftops and chimney sweeps (probably Edgbaston). They already seem to know Peter Pan (Jaymi Hensley) and Tinkerbell (Kellie Gnauck) who come from Neverland. Mr Smee (Matt Slack) works for the darlings parents and disbelieve their tales of Peter Pan, until he meets him. Peter sprinkles fairy dust over the Darlings, their dog Nana and for some reason Smee too and everyone flies off to Neverland. On arrival in Neverland we discover Hook (Darren Day) to rid Neverland of Peter Pan but whenever he plans anything a massive Crocodile who has swallowed a clock keeps coming near. Oh and there’s a magical Mermaid (Meera Syal) who appears to be Hook’s ex girlfriend. Wendy and her brothers visit Peter Pan’s Secret Hideout where they meet Tiger Lily (Imogen Brooke) and the lost boys. Tinker Bell is growing envious of Wendy and Peter Pans growing friendship. The use of video animation is blended in to the story more so than I’ve ever seen, from introducing the Rooftops of Birmingham to our own journey to Neverland (Into space to another planet with lots of water and the island of Neverland?) A huge crocodile, a pirate ship and a motorscooter all come out from the stage to the audience. There’s slapstick, music from every generation from 60s to 2019 and plenty of dancing. Plus there’s The Timbuktu Tumblers and Sascha Williams and Stephanie Nock from Britain’s Got Talent adding even more old school variety. Darren Day is a enthusiastic villain and clearly loves this role and of course he’s got the singing vocals to match as he’s an established West End star. Hopefully this will see Darren Day return to Birmingham for a full on panto season in the future. 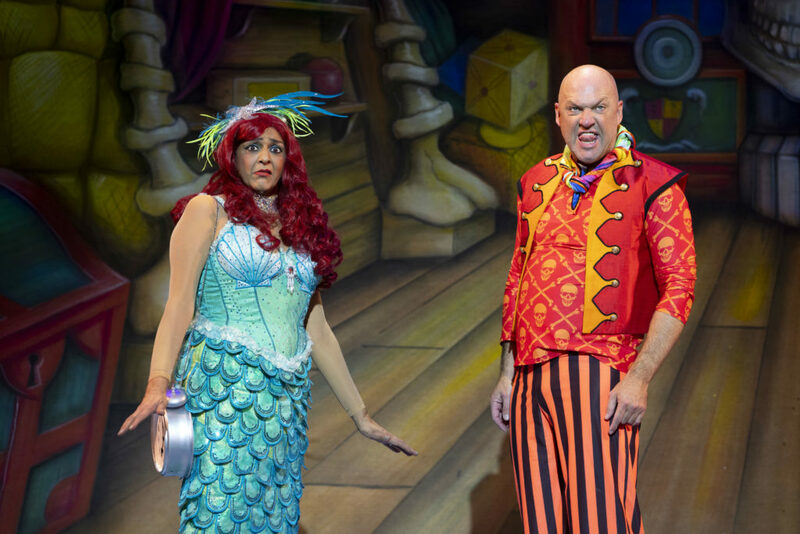 Jaymi Hensley, Cassie Compton and Kellie Gnauck all bring even more of the West End to the Birmingham stage and Mr Hensley is much more of a .eading man than Peter Pan normally allows. Peter Pan is much more reckless and poorly behaved, this Peter seems lees impish. This is Meera Syal’s first time as a Panto actor (I think) and it is clear after her turn as Miss Hannigan in Annie that more theatre beckons. Funny, bright and not afraid to poke fun at herself she handles the tongue twisting script with ease. Matt Slack is a Birmingham favourite, disrupting, topical and throwing adult jokes out that fly sky high over kids heads is the name of the game here. I can’t wait for Matt Slack to return later this year in Snow White and the Seven Dwarfs.. Will he play Snow White?? Oh no he won’t. 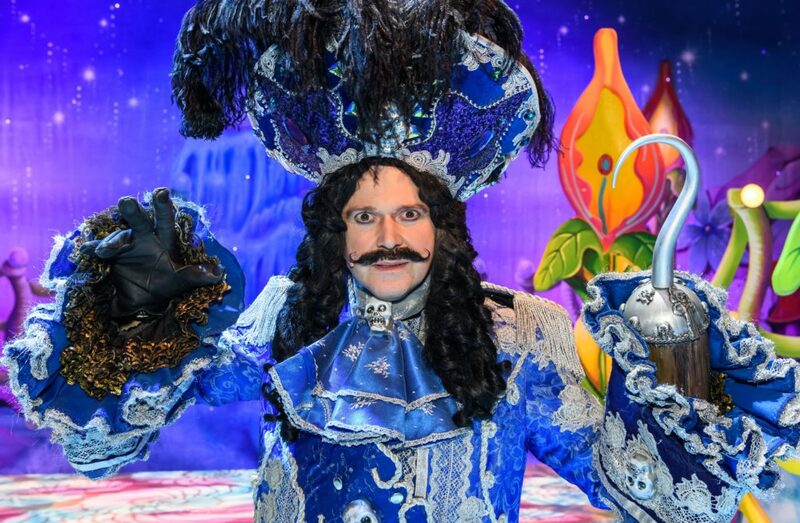 Before Christmas #BrumHour’s Julie Wallis had been to her first ever panto at Birmingham Hippodrome to review this production of Peter Pan and she’d had a fantastic time! I on the other hand have been seeing panto in Birmingham since 1984! This was LOTS of fun and a great introduction to the world of panto for anyone new to it.